Rebecca Nelson and Rose Filler Siegel Chandler circa 1908. 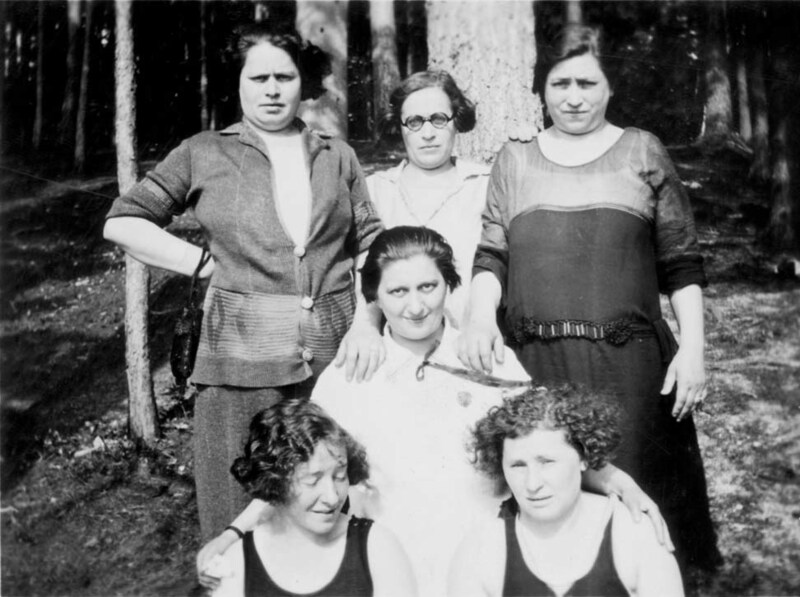 Family lore has it that they came to America together posing as sisters. 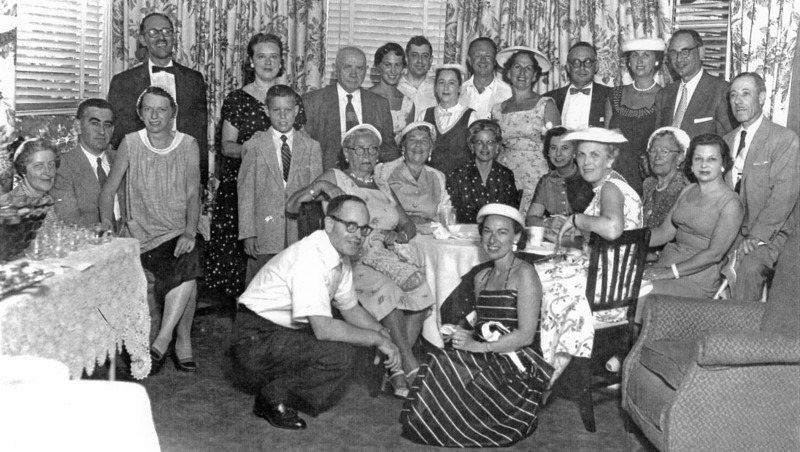 On that manifest for Rose: Cymric, Arrival Boston: 17 Jun 1906; Departure: Liverpool, England (8 June 1906) you can also find Lou Kates’ mother Esther (Rebecca's sister) and son Isaac, as well as Rose’s sister Anna/Hannah. Esther and Anna, but not Rose, are marked as coming from Volnia. I have been trying to find subsequent appearances of Anna/Hannah and her husband Mordechai Lichtenberg (name from Chandler tree) in the US, and have failed. It remains possible that she who is identified as Anna Filler is, in fact, Becky Nelson. Anna Thorner Glaser	(a redhead) • Minnie Marcus Cook. Anne Thorner Stack's collection. 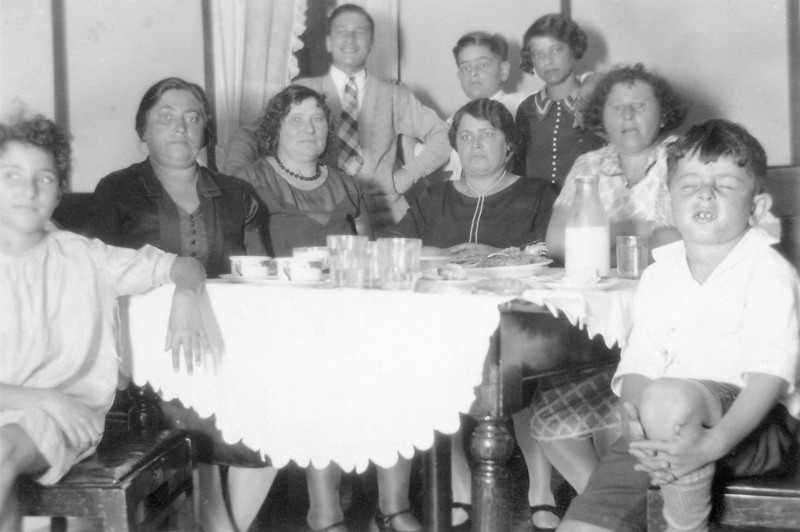 circa 1929, Maine: Front L to R: Sylvia Cook, Rose Nelson Robinson, Mystery woman, Becky Nelson Thorner, Minnie Marcus Cook, Mel Thorner. 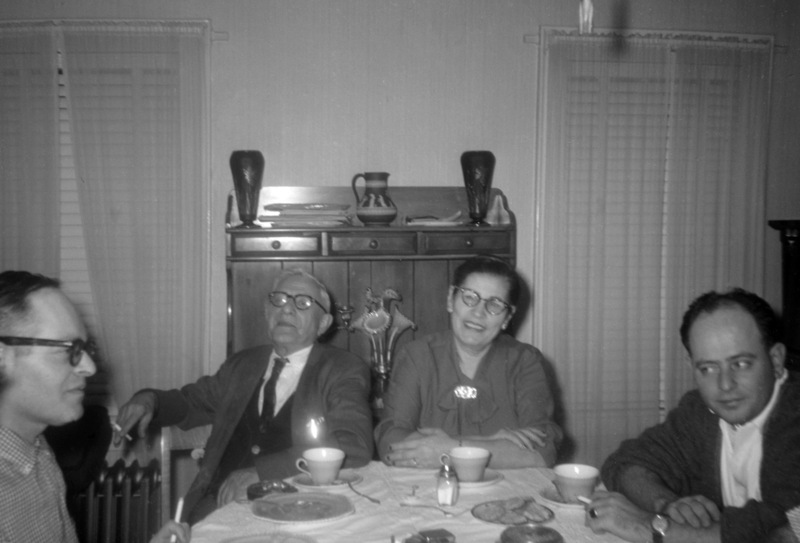 Rear, L to R: Mystery man, Irving Thorner, Ann Robinson Leman. Anne Thorner Stack collection. 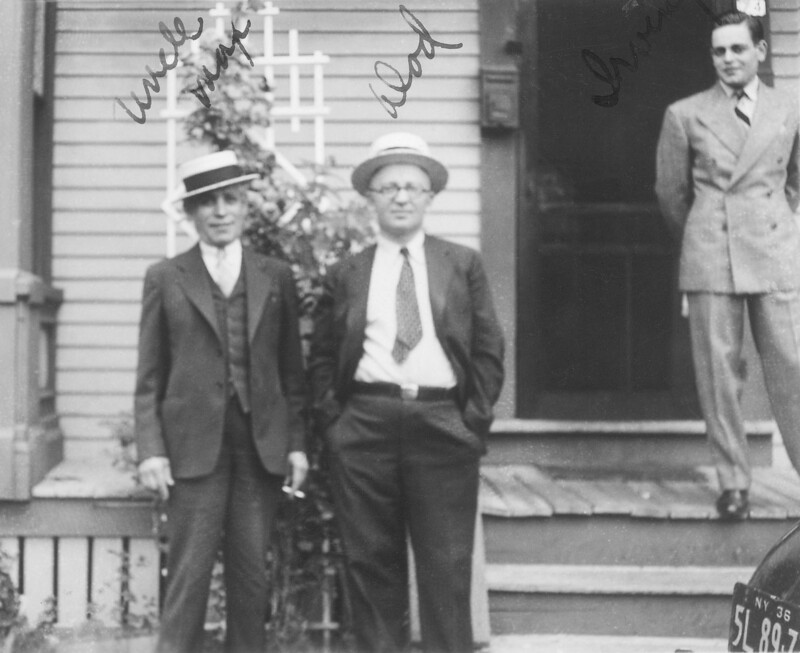 July 5, 1936: 74 Mason Street, Biddeford, Maine: L to R: Max Nelson, Abraham Thorner, Irving Thorner. Anne Thorner Stack collection. July 5, 1936, Old Orchard Beach, Maine: L to R: sibs Becky Nelson Thorner, Max Nelson and Rose Nelson Robinson. Anne Thorner Stack collection. 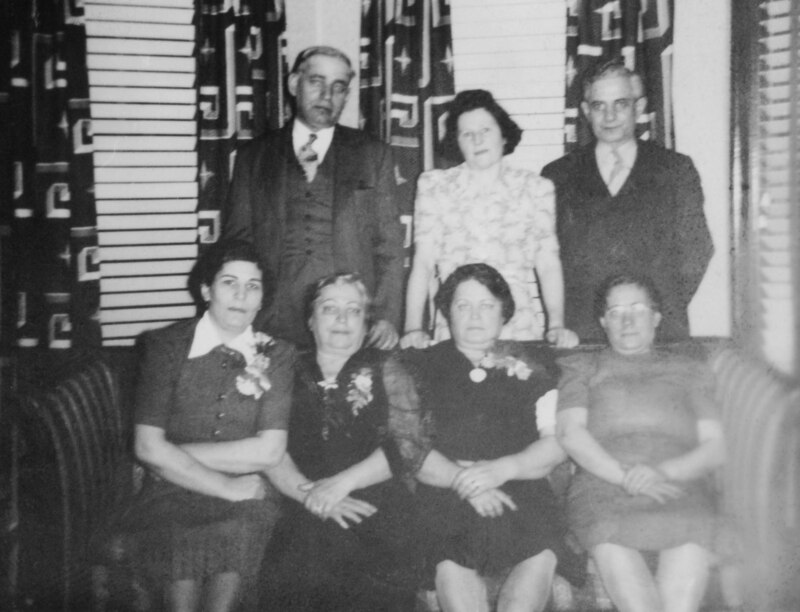 Top row: L to R: Max and Minnie Cook (Minnie died 1/6/1941), Jake Robinson. 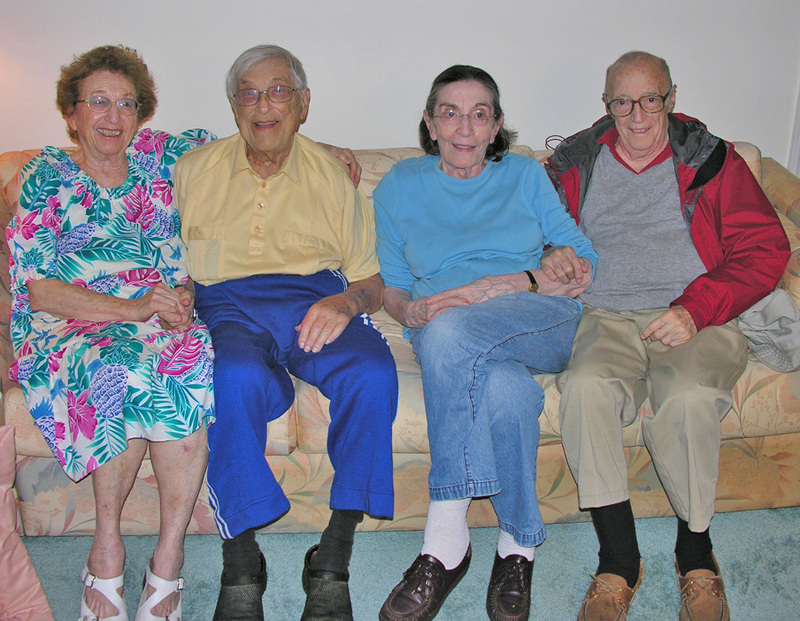 Bottom, L to R: Sarah Nelson Schwartz, Rose Nelson Robinson, Becky Nelson Thorner, Etta Nelson Chase. Top row: L to R: Jake Robinson, Minnie & Max Cook (Minnie died 1/6/1941). Bottom, L to R: Sarah Nelson Schwartz, Rose Nelson Robinson, Becky Nelson Thorner, Etta Nelson Chase. Joe & Marjorie Chandler collection. Top row L to R: Jake Robinson, Rose Nelson Robinson, mystery 3 (Becky? ), mystery 4, mystery 5. Joe & Marjorie Chandler collection. 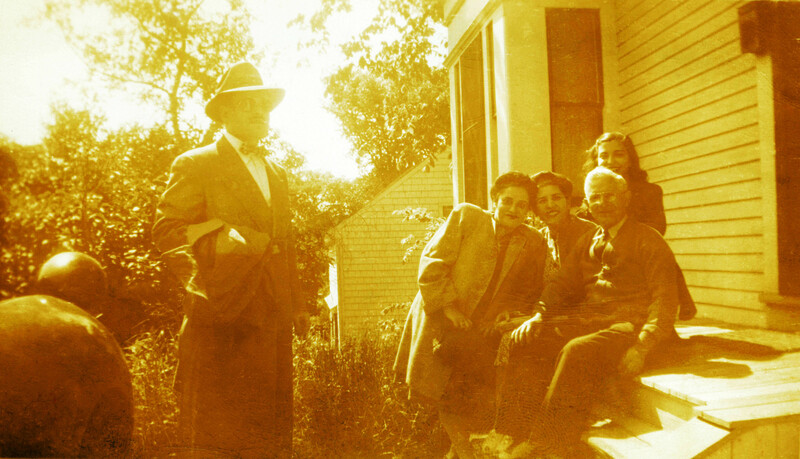 1938 Circa, 74 Mason Street, Biddeford, ME: Lou Kates, Mel Thorner and Anne Thorner. Anne Thorner Stack collection. 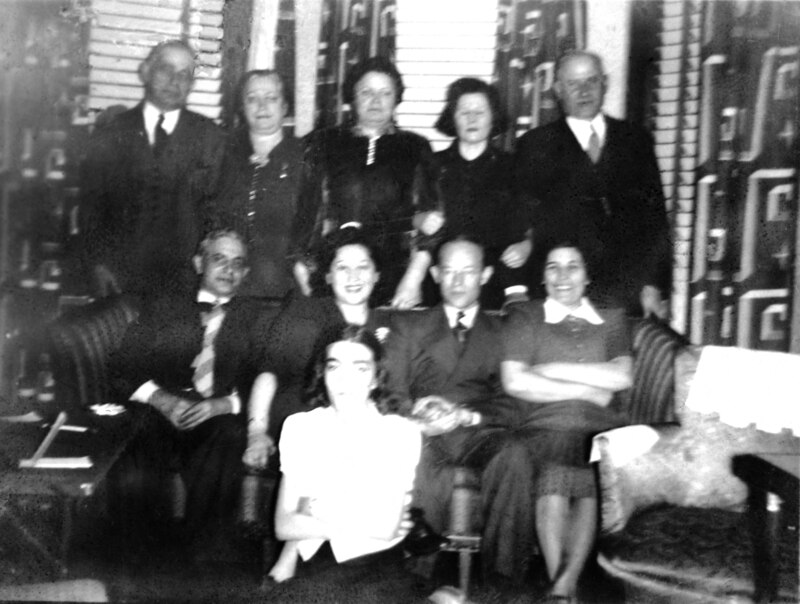 circa 1945, 74 Mason Street, Biddeford, Maine: L to R: Irving Thorner, Bess Kates, Sarah Nelson Schwartz Cook, Max Cook, Molly Schwartz. Anne Thorner Stack collection. October 1, 2010, Portland, ME: Marjorie and Joe Chandler and Molly and Jack Cinamon. Barbara Stack photo. Joe and Molly are half second cousins once removed. 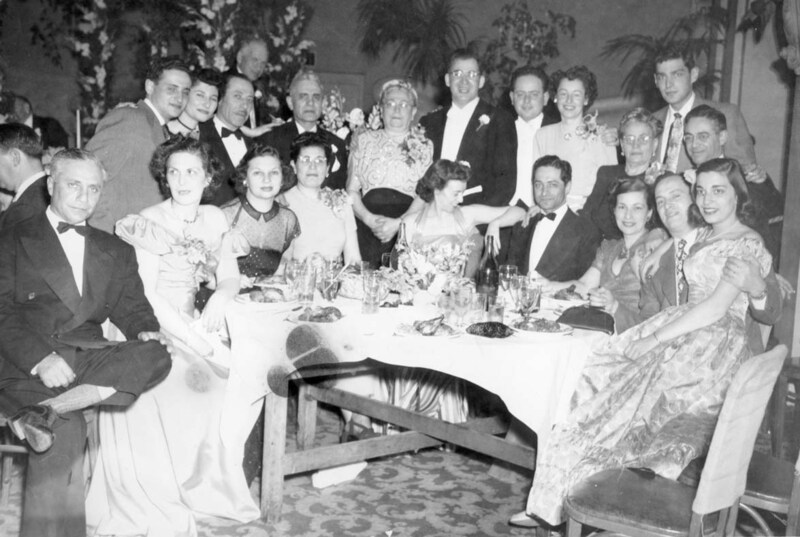 Joe's mother was Rose Filler; His father's moother was Hoodis Filler; Molly's mother was Sarah Nelson Schwartz Cook.